Looking for the best 20 Megapixel CCTV cameras on the market? We have rounded up the best IP cameras on the market that offer both incredible daytime detail and outstanding night time performance with no compromises. Wired connections – At 20 Megapixel resolution, you have to use a wired connection. PoE is fine but an SFP fibre-optic slot is even better due to its ability to cover long distances that fibre can cover. 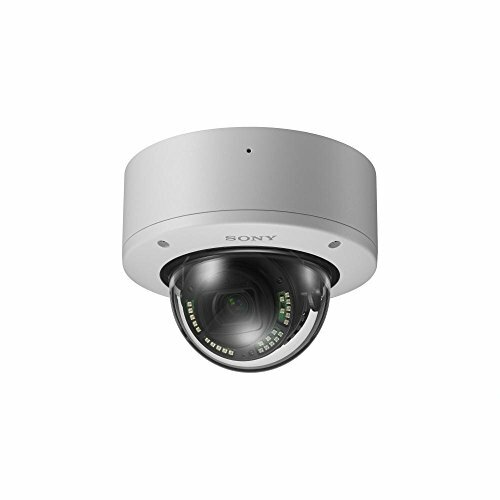 Sony’s IP cameras are legendary for their low light performance and the SNC-VM772R is no exception. This IP camera sports a large, highly sensitive 1.0-type back-illuminated Exmor R CMOS image sensor with 20 Megapixels and a minimum illumination level of 0.06 lux in full-colour. Although Sony bills it as a 4K camera that can do 3,840 x 2,160, you can go up to 5472 x 3648 resolution. 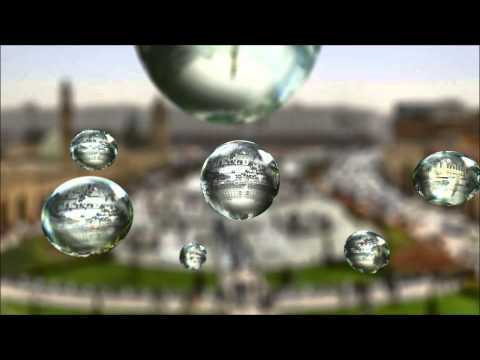 Want a 20 Megapixel camera but with optical zoom? The SNC-VM772R has a motorized optical zoom lens with focal length from 8.8 mm to 25.7 mm. This is an effective 2.9x zoom. The f-stop varies from F1.8 at the wide end to F2.8 at the tele end. The viewing angle ranges from 70.7° to 27.5°. 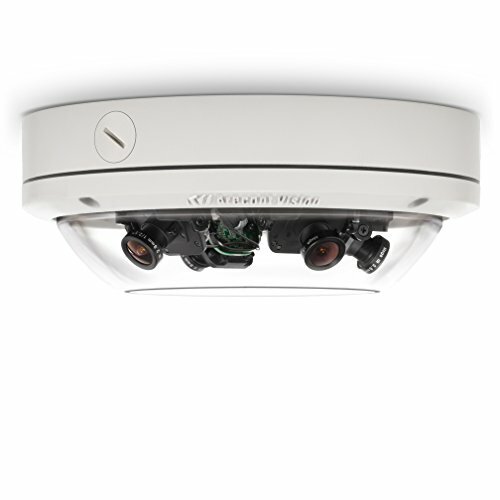 One feature frequently missing from high MP cameras is an on-board IR illuminator. Fear not, this Sony has 30x 850nm IR LEDs giving it a night vision range of 50m. I always prefer cameras with advanced motion detection ability. This Sony supports intrusion, passing, existing, disappearance, capacity, abandoned object, and removed object detection. 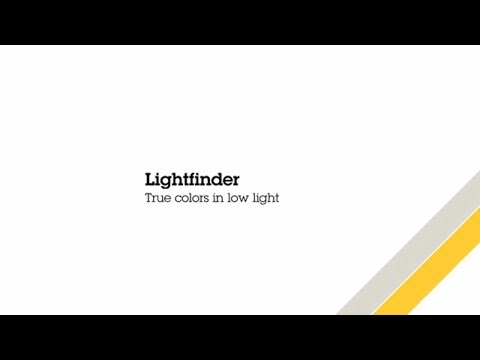 So its on par with Dahua, Axis and Vivotek. Another interesting feature is a PTZ-like virtual tracking feature of up to 4 moving targets. Local storage of images and motion detection clips is supported with an SD card slot that takes up to 128GB cards. For cameras with such high pixel counts, the SD card is more suited as a failover video recording destination in case of network outage. What about connectivity? IEEE 802.3af PoE is present, as is microphone and line input. 2x alarm inputs and 2x alarm outputs are generous by IP camera standards. An HDMI port is a very unusual inclusion, but very welcome. The Axis Q1659 is the perfect marriage of DSLR-level image quality from the Canon APS-C sensor and the surveillance prowess that Axis is famous for. The 22.4 x 15.0 mm CMOS sensor allows for a maximum resolution of 5472×3648 and a shutter speed down to 1/8000 seconds. Since the camera uses a Canon mount, you can use any Canon EF/EF-S lens with this camera. The camera can be powered over conventional PoE. But on a high-end camera like this, it’s no surprise to find an SFP slot which allows you to connect the camera using a fibre optic cable. The main advantage is low latency and the ability to carry data over long distances. This gives you immense flexibility in camera installation. Axis also has a technilogy called ZipStream which lowers the bandwidth needed by up to 50%. The camera is not light on audio features – it support 2-way audio and has an external microphone input and audio line out. It can operate in freezing temperatures. Arecont Vision is a California-based company that specialises in video surveillance and machine vision tech. The AV20175DN-28 is a very unique multi-sensor camera that provides ‘surround’ video. The 4 independently controllable 5MP sensors have M12 lens mounts. Each mount can take a lens of 2.1mm, 2.8mm, 4mm, 6mm, 8mm, 12mm or 16mm focal length. 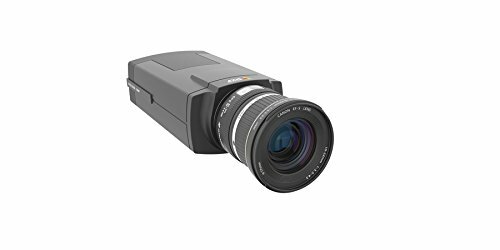 The AV20175DN-28 model comes with 2.8mm lens and the AV20175DN-08 comes with 8 mm lens. The 360° track together with these 4 sensors means you get superb flexibility in defining the camera’s scene coverage, with up to 270° field of view. In case you are wondering the resolution this camera pushes out is an incredible 10240×1920 at 3.5 fps. At 5120×960, you can get 11 fps. The very high 20 Megapixel count allows for an intriguing feature – you can zoom into a recorded video and still maintain Full HD 1080p resolution. This virtually eliminates the need for PTZ cameras which anyway have the downside of missing out on details outside the zoomed in view. There is no audio support but there is alarm in/out support. The camera can be powered over PoE, via 12–48V DC or 24V AC. It is also IP66 outdoor rated with an IK-10 impact resistant housing. Did we say the camera is made in the USA? IP cameras with super high resolutions are great when you have a large area to cover, but need to be able to zoom in and make a positive ID. Be it day or night. With 20 Megapixels, you can have full 4K resolution even when zoomed in. So these cameras a great choice for DIY enthusiasts who want the best in CCTV technology.